As heavy rain and rising floodwaters continue to threaten residents and communities across North Carolina and South Carolina, many of you have asked how to aid recovery and relief efforts to help people impacted by the devastating effects of Hurricane Florence. When disaster strikes, it is a good idea to seek out information from the local community foundation regarding how you can best support recovery efforts. Community foundations have deep community knowledge and a lasting commitment to community improvement. In anticipation of the effects of Hurricane Florence, the Foundation For The Carolinas established a relief fund to support those affected by the unprecedented storm. Donations to the Hurricane Florence Response Fund will be directed to nonprofits in North and South Carolina providing relief to victims of the storm. Grants will be distributed to areas of greatest need once the full impact of the hurricane is realized. You can find more information and make a donation via credit card by visiting www.fftc.org/HurricaneFlorence. If you would like to make a contribution via a donor-advised fund at the Greater Washington Community Foundation, you can make a grant request in Donor Central or contact or submit a grant recommendation form to Kathy Matthews, Grants Manager at 202-263-4773 or kmatthews@thecommunityfoundation.org. 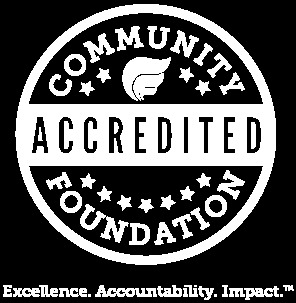 Central Carolina Community Foundation One SC Fund — The fund provides grants to nonprofits that are providing relief, recovery, and/or rebuilding assistance to affected individuals and families. 100 percent of monies donated will go directly to help Hurricane Florence relief efforts. North Carolina Community Foundation Disaster Relief Fund — The North Carolina Community Foundation reactivated its Disaster Relief Fund to help North Carolinians affected by Hurricane Florence. All funds raised for the NCCF Disaster Relief Fund will go directly to nonprofit organizations serving the needs of local individuals and communities in the impacted areas of North Carolina. The Center for Disaster Philanthropy 2018 Atlantic Hurricane Season Recovery Fund will focus on medium- and long-term recovery needs, including rebuilding homes and businesses; meeting the needs of young children; and supporting mental health (among other needs).